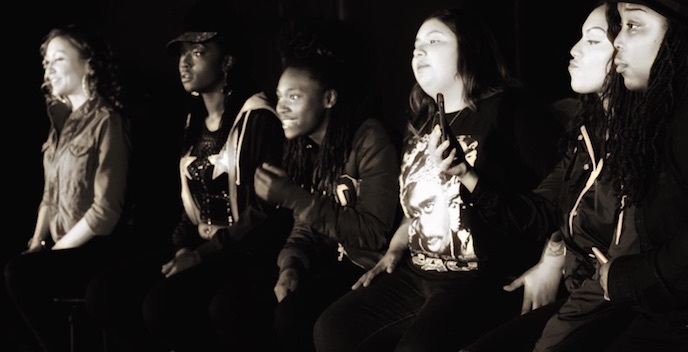 Start with some terrific beats from Kontrabandbeatz, take six talented Bay Area female rappers, bring in documentary video interviewer Jess Tarantino to direct, and what do you get? A terrific, fresh music video that shows the power that Bay Area up-and-coming hip-hop wields. Featuring Alma Ro$ae, So Vicious, Sire, ThatsYanaaShawty, Outrageous Katrina, and Ash Rogue, the track calls for repeated listening and the video for repeated watching. The video was filmed at The Chapel on Valencia Street, site of many great shows covered on SF Sonic.